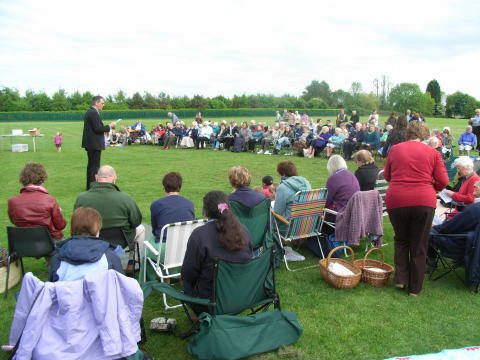 On Sunday 18th May 2008 at 5pm we held our United Open Air Service with the other churches in the Fromeside Partnership; Zion, St Peter's, St Michael's, All Saints, Bethesda Methodist and Salem Methodist. 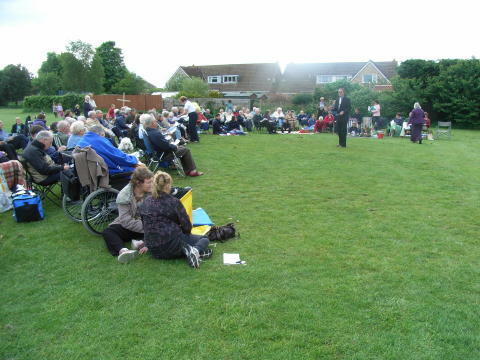 The event was held in Crossbow Field, Frampton Cotterell. 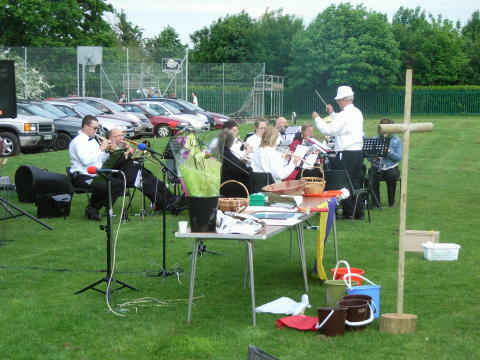 Excellent live music before and during the event was provided by Bristol Concert Wind Band. 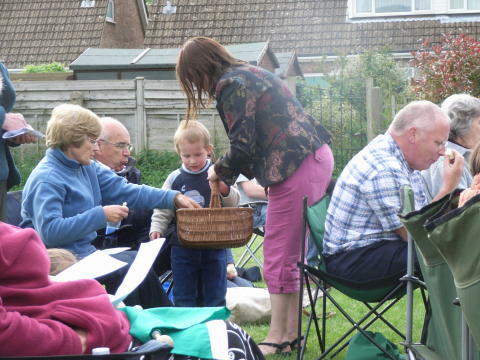 Some brought picnics, some brought a bit of sun, no-one brought rain. Our gathering hymn was 'O Lord my God! When I in awesome Wonder'. Ruth Davey spoke to us about Christian Aid and the collection was donated to them. 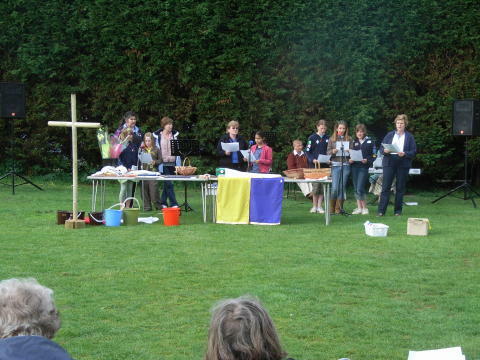 We listened to the Guides and heard a dramatised bible reading about feeding the 5,000. 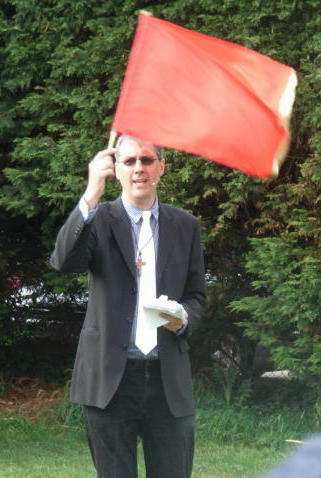 Paul Edwards, Methodist Area Superintendant, gave us a nice talk about ...(I forget) oh um, I think I was planning the childrens bathtime. Yes, that was it, my mind wandered. 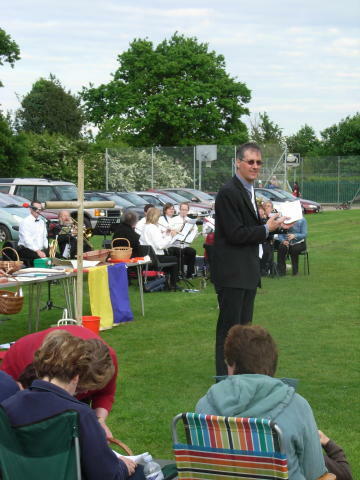 We sang some hymns, said some prayers, shared some bread (really big chunks!) and had some lovely cake at the end. 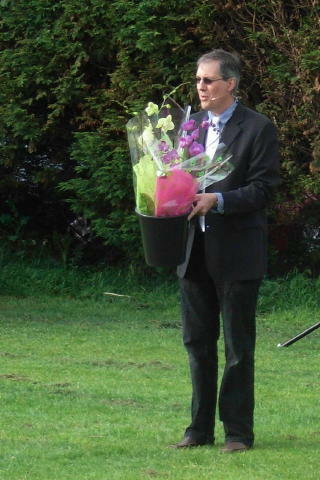 We would like to thank Stephen for leading the service and the committee, Mary Head (St Saviour's), Di Rix (St Michaels), Rosie (St Peters) and Janet Smith (Bethesda Methodists) for all their hard work in organising the event. We look forward to another next year. Join our email list to be kept informed of important information and future events. NB Emails will be sent at around one per month maximum and your details will not be passed on.